On a crisp clear Monday morning at California African American Museum (CAAM) hundreds of local businesses, independent contractors and job seekers flocked to the inaugural The Metro to Crenshaw Business Opportunity Summit. The event was the vision of Art Leahy, CEO of the MTA and Sentinel Executive Publisher Danny Bakewell, Sr. to create a transparent and engaging conference that would serve as an ongoing commitment to the African American Community. 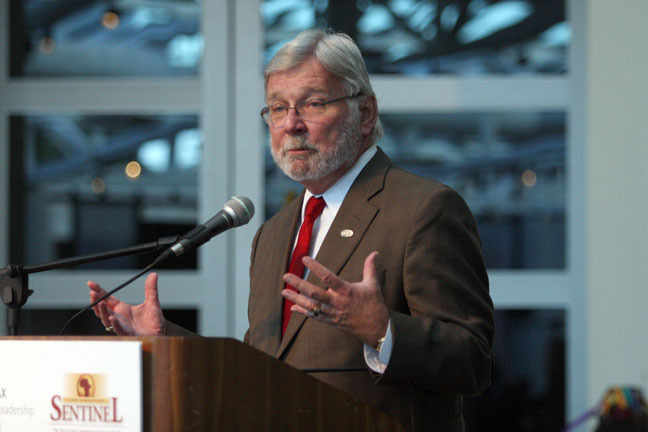 “This process started a long time ago with people who are no longer with us and therefore it its paramount that we not only see it through, but most importantly hold those accountable for making sure that our community economically benefits from the building, maintaining and sustaining these projects,” emphatically stated Bakewell. It was a significant first step for local small and minority owned businesses to not only discover what opportunities METRO had to offer, but also an opportunity to begin that process. The Metro to Crenshaw Business Opportunity Summit was well attended as over 300 small, minority and women owned business owners in the Crenshaw, Inglewood and greater South Los Angeles community showed up to participate. 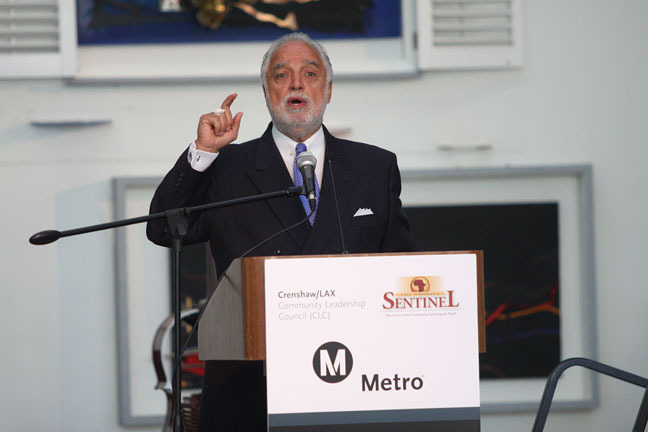 The partnership between Metro, the Los Angeles Sentinel and the Crenshaw Leadership Council also proved to be very successful as large numbers of business owners from the community participated in group discussions on subjects ranging from procurement, purchasing, professional services, highway and rail opportunities and transit oriented development just to name a few. It marked the first time Metro has ever brought their most important business units and their highest-ranking executives to the African American community to discuss possible business opportunities for numerous projects at Metro, including the Crenshaw Light Rail Line. Mistress of ceremonies Beverly White of KNBC Channel 4 hosted the summit. In the afternoon Walsh/Shea, the contractor for the Crenshaw Line, received tough questions from the audience about the total number of dollars that will be spent with vendors in the African American Community, their outreach to the African American community, the number of African Americans who will actually work on the Crenshaw Line and the lack of visible high ranking African Americans working on their team. Most attendees had high praise for the outreach efforts of Metro but remained very skeptical of Walsh/Shea, the contractor hired to build the Crenshaw Line. The Crenshaw/LAX Transit Corridor Project will serve the Crenshaw Corridor, Inglewood, Westchester and the LAX area with eight stations, a maintenance facility for rail vehicles, park and ride lots. Also included in the project will be construction of traction power substations and the acquisition of rail vehicles and maintenance equipment. It will be a life changing experience. We have to make sure that life-changing experience is positive. There is no reason that businesses should not be empowered. Let’s not be confused about what the Metro line is; It’s not just a train that’s going to give us access to transportation. It should give us [an opportunity] to change the economics in our community.